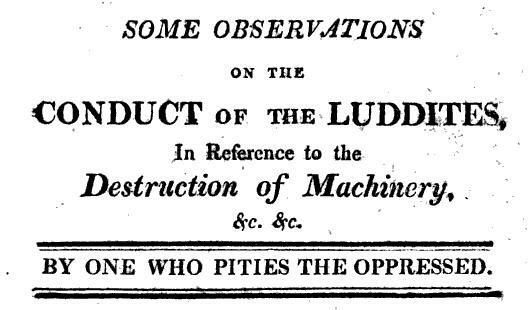 We’re happy to announce that, as trailed in our previous posts, York’s Alternative History will be hosting an event to commemorate the 200th anniversary of the execution of seventeen Luddites at York Castle. This will take place on Saturday 19th of January 2013. This entry was posted in alternative history, Events, History, Luddites by Adam Gutteridge. Bookmark the permalink. Reblogged this on Northern Radical History Network.